I am part of the wildly popular monthly "Daring Bakers" challenge. Joined this past April, since then, we've done some very interesting pastry recipes(I post my "official" DB post at my Chinese blog site). 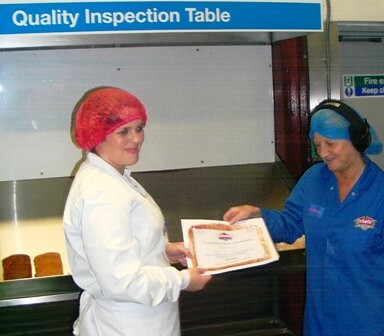 This month I did my first "yeast-y" challenge with them, so I want to shared it with TFL. 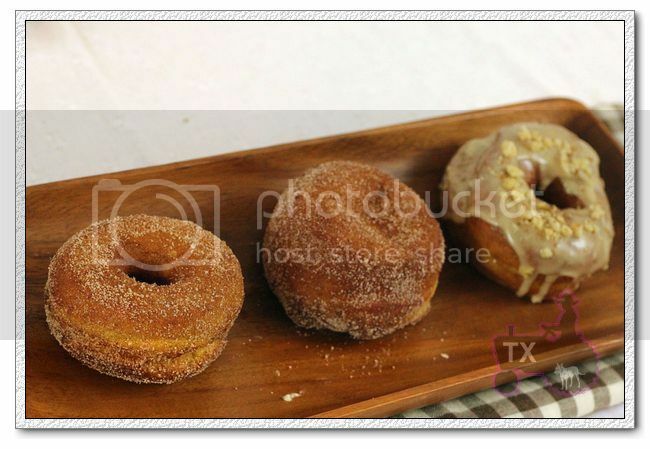 The theme of Oct is doughnuts, so I picked the yeast doughnut recipe by Alton Brown (his recipe always works), and added my own Autumn twist by adding pumpkin puree and spices, as well as maple glaze and maple creme filling. Oh, also added a bit of my sourdough starter just for the extra flavor. 1. 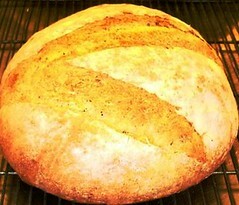 Mix everything but salt and yeast, autolyse 30min, add salt and yeast, mix/knead until the dough is smooth and strong. It's a very very very wet sticky dough, try not to add flour. I mixed until it pass the window pane test. Very strong gluten structure. 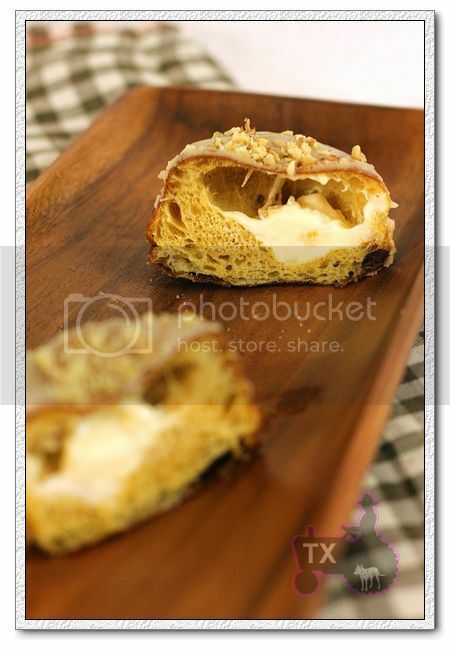 However you'll still get soft doughnuts if you knead less, crumb would just be slightly less open. 2. Cover and rise for one hour (~73F), there's a lot of yeast in the dough, it rises fast. 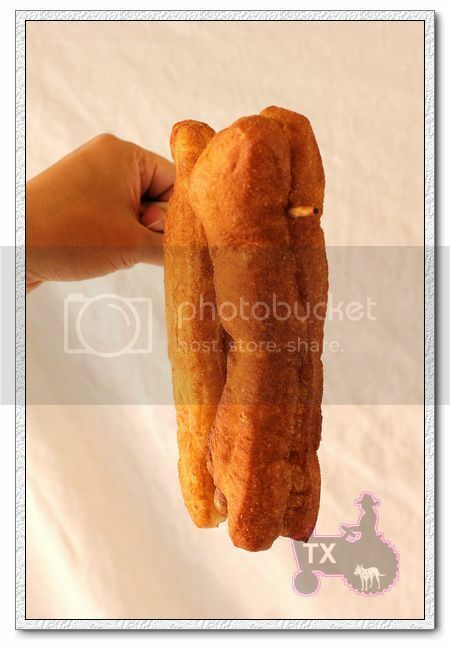 The dough needs the extra yeast to expand properly in the short fry process. 3. Punch down, cover and put in fridge so that we can fry them next morning and have fresh doughnuts for breakfast! 4. 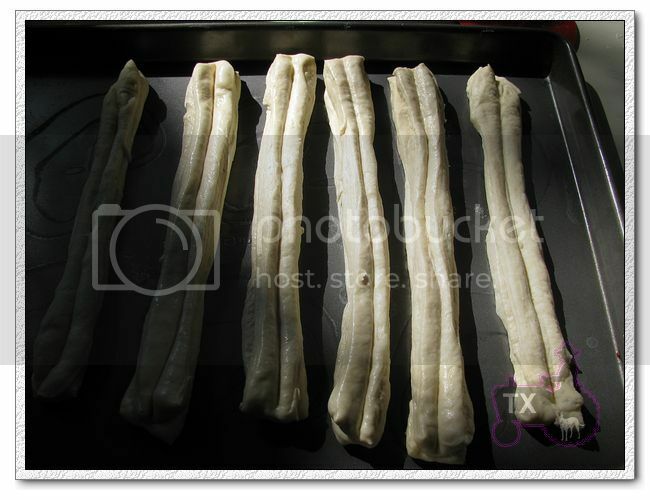 Next morning, pat out dough into 0.8inch thickness and cut out any shapes you like. At this time, you can fill them with maple cream (put in between two rounds and seal), or you can fill them after frying. 5. 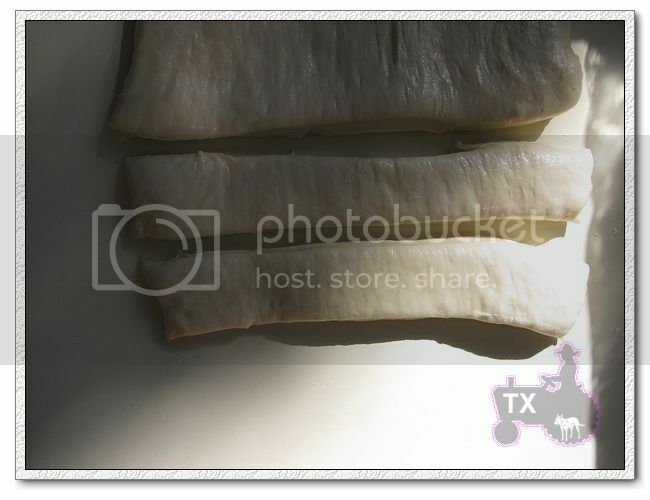 Let rise for 30 to 40 min until puffy, fry in 375F oil for 30 to 60 seconds until golden. 6. 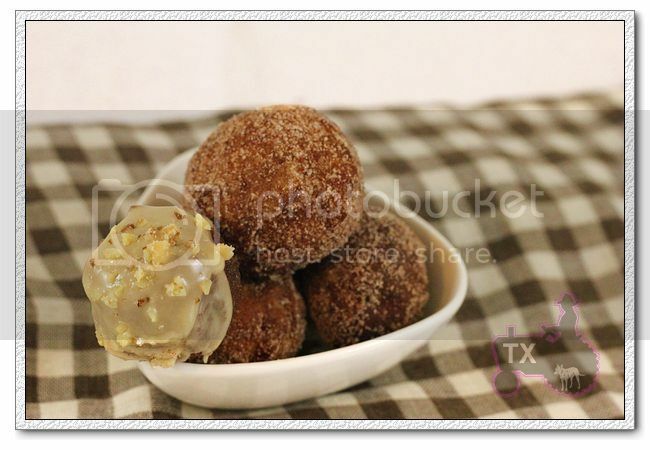 Fill with maple cream if you wish, then roll in cinnamon sugar or maple glaze. 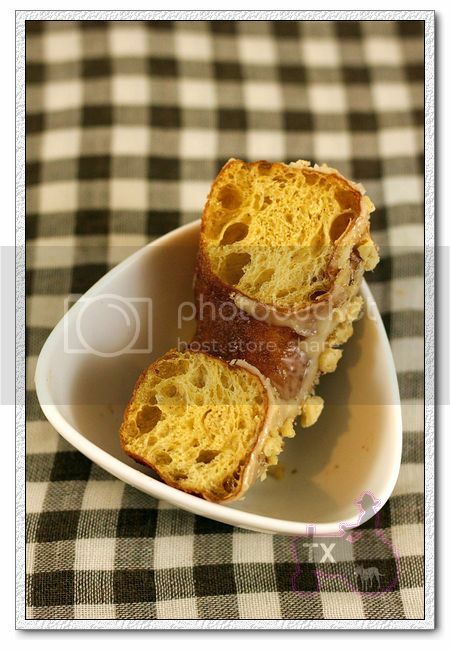 The incredibly open, soft, rich crumb is brioche-like, due to the enriched dough, as welll as a lot of kneading. Maple glaze and cream went perfectly with pumpkin spice, classic. 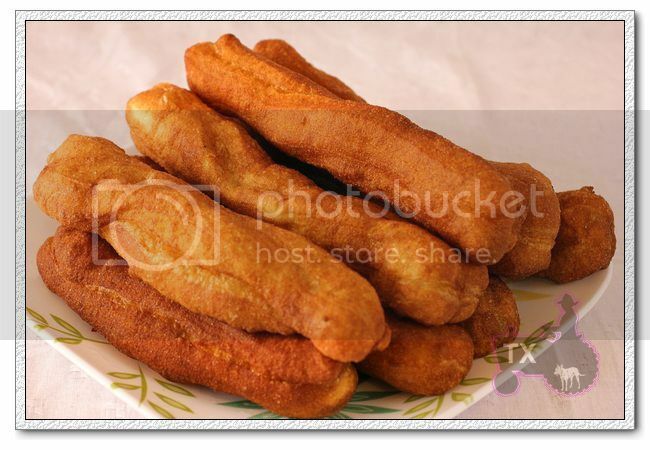 Since I had all that oil left, I decided to make 油条 - a popular traditional Chinese deep fried pastry. I grew up having it for breakfast, they are sold during morning rush hour by street vendors, wrapped in cheap plastic bags. Similar to doughnuts, they are deep fried, delicious, cheap, popular, and utterly void of nutritional value. :P Yet, this is one of the comfort foods that I dream of often. 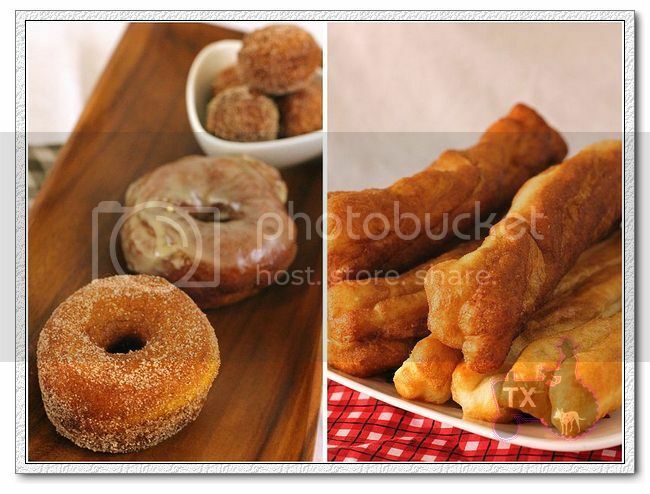 There are various ways to make 油条, in a home setting, we don't need those extra stuff to make it extra fluffy (less dough, more volume, hence more profit), so it can be made easily with a process similar to doughnuts, the difference is that the dough is plain without any fat or sugar. 1. Mix flour, starter, 180g of milk, autolyse 30min. Add salt and yeast, mix until smooth and pass windowpane. 2. Let rise until double, about one hour. Mix baking soda with 15g ofmilk, knead into the dough. Cover and fridge. 5. 375F hot oil, deep fry until golden, flip as necessary. They are the most delicious fresh. There are many way of eating them. My family used to dip them in "salted fermentated tofu"(sounds strange? very yummy!). A popular way is to eat them with (or soaked in) warm sweet soy milk. In fact they are good with most dipping and sauces. 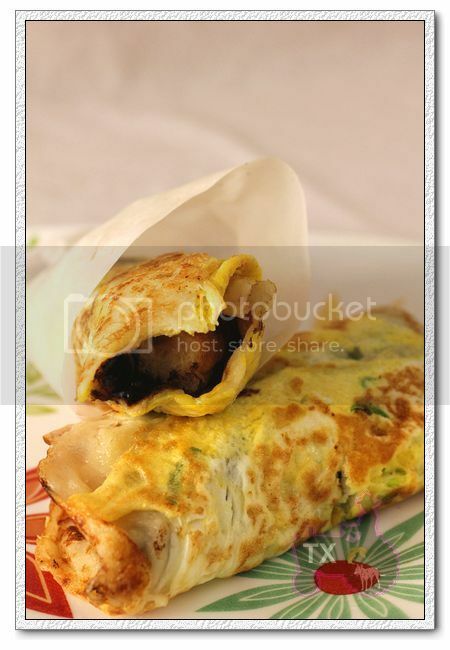 A popular street food combo is to wrap it with an egg crepe, finished with sweet sauce. Yum, just like my memory from Shanghai. 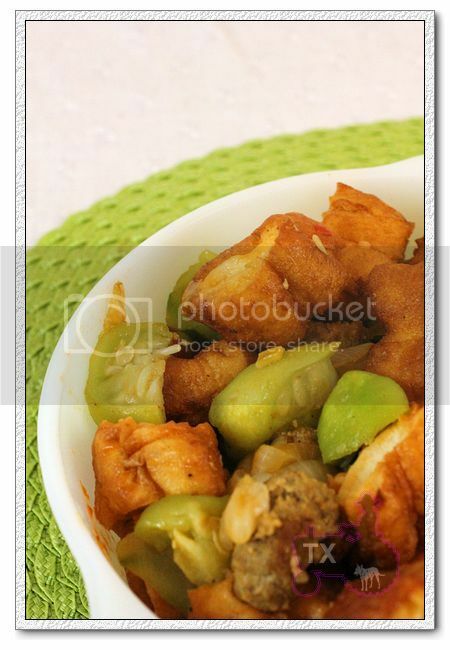 The leftover can even be cooked into dishes. I stirfried some with Chinese squash and meatballs. I am very happy about this challenge. This is my first time to deep fry anything, I got to eat fresh doughnuts, AND relive some of my favorite food memories from Shanghai. 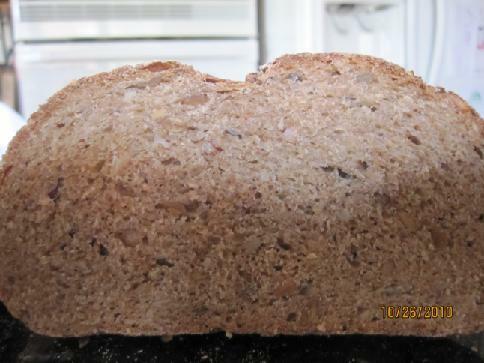 This was my first legit attempt at homemade bread, a whole wheat oatmeal bread. 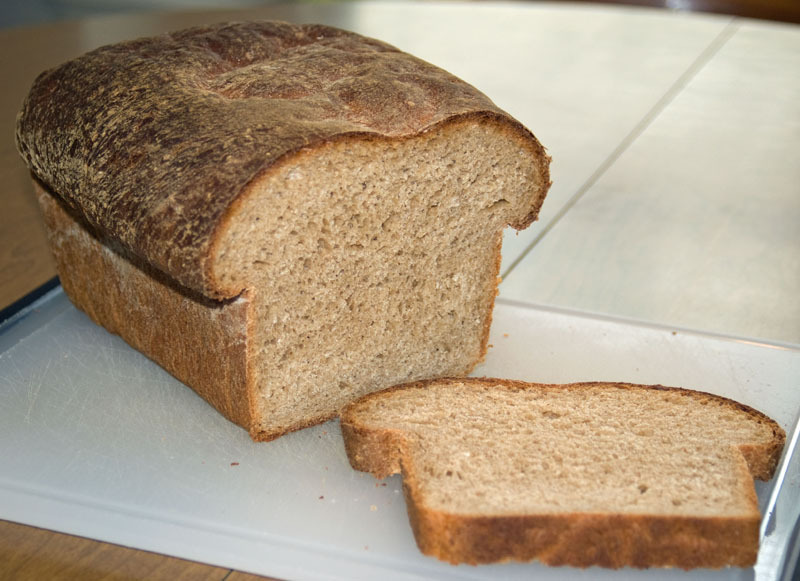 The recipe is from Kim Boyce's "Good To The Grain" cookbook, and is made in one day, using active dry yeast, regular whole wheat flour, oatmeal and unbleached bread flour, and a very short 30-minute autolyse before kneading and proofing. It's a great beginner's recipe. New England, the house filled with the aroma of apples, cinnamon and cake baking in the oven. This is a trip I look forward to every year. 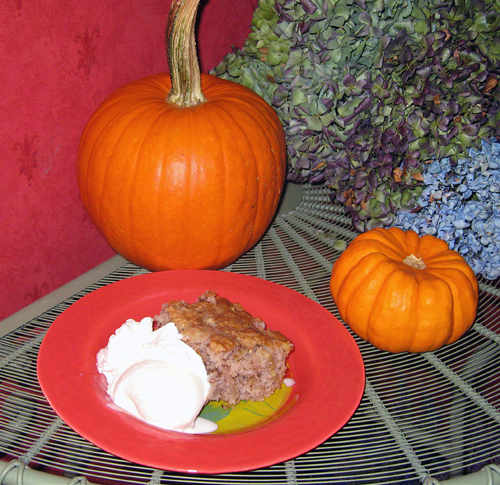 This apple pie cake is fast and easy to make. Made a couple of loaves today that went over well with the Taiwanese in-laws, and that I am pretty happy with. My usual whole wheat sourdough base, with ~30% added high gluten white flour, and about 1 1/2 cups of rye kernels (soaked overnight, then brought to a boil and then left to soak another few hours) and about 1 cup of flax seeds (soaked overnight), and ~1+% salt. Probably about 9 cups flour total, plus the extra seeds, making a couple of large loaves. My sourdough, which I have been keeping in the fridge 100% of the time since coming to Taiwan, hasn't yet developed much of a sour flavour (which is fine with everyone but me), but is working well to leaven my doughs. I'm new to the Fresh Loaf website, and a new student of home bread-baking. 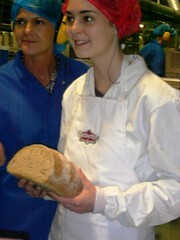 I want to chronicle my journey on this blog, and I'm definitely after that ultimate taste and texture in creating bread. These whole wheat ciabattas aren't my first attempts at baking bread, but they are my favorite flavors and textures so far. They're made with white whole wheat flour, (hard white wheat), using the recipe formula for Whole Wheat Focaccia from "Peter Reinhart's Whole Grain Breads:New techniques, Extraordinary Flavor." 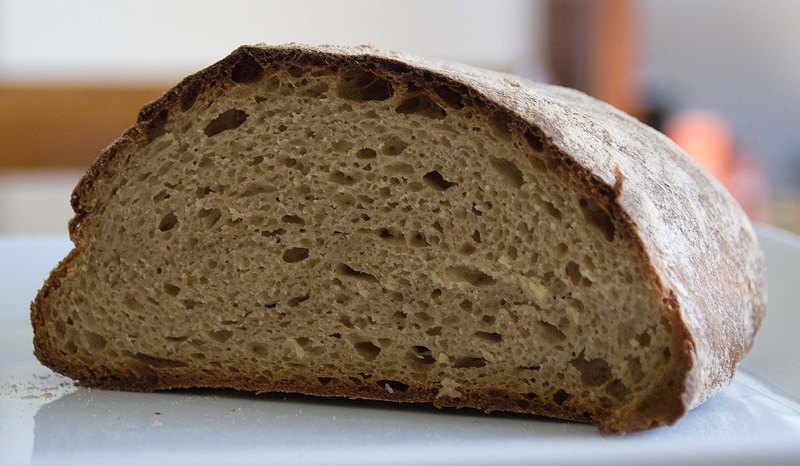 The flavor and crust are excellent, although I was hoping for a little more open and airy crumb. I think next time I'll try using regular whole wheat, (hard red spring wheat), a better thermometer, and either a shorter or longer delayed fermentation in the fridge, depending on how the dough seems to be developing. 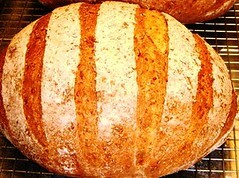 Once I learn to create my own natural leaven, I may try that with this recipe too. 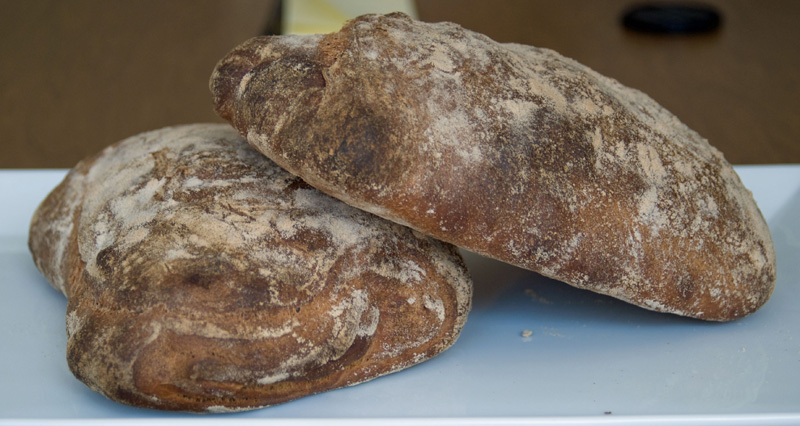 I'm really enjoying this learning process, and eating the bread I bake is such an immediate and gratifying creative experience. I love the community that sharing food can create, and one of the things I love doing most is sharing an evening with great friends, food and conversation. Or was it 2 cups of starter, 1 cup filtered water and 1 cup of unbleached white bread flour? I can't even remember. That's why I've decided to make use of this blog; keep a track of everything I'm doing. I left it to ferment overnight and in the morning it was frothy and spongy, but it didn't seem to have grown at all. Is it supposed to? Oh well, nothing like wandering around in the dark for some excitement! I decided to go ahead and make bread with it. I added the whole lot of sponge (about 3 1/4 cups) to my mixing bowl and added also two cups of white bread flour and two cups of wholemeal flour. The dough was tacky but not sticky. 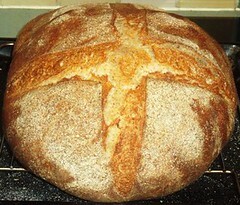 I kneaded it, rested, kneaded, rested a few times until it was nice and smooth and stretchy. I put it in a nice cosy steam bath to rise (maybe too cosy?) which it did to easily double in three hours. I tipped it out, divided it into two pieces, had absolutely no idea how to shape into boules, so just kneaded lightly into balls and placed onto a tray. I put these back into the steam bath thinking that seeing as it had done so well the first time, it would be okay the second time. I checked it in only thirty minutes, and it had taken off. The tops had cracked wide open and they looked pretty ugly! I looked closely. It seemed wet (maybe from the steam bath? ), not very stretchy and a bit flacid looking. I decided I couldn't wreck it any more if I tried, so I kneaded it again and added some more flour until the stretch and vigour were back. I mean.... what more could I do wrong? Anyone reading this is probably laughing their heads off right now. I didn't return the dough to the steam as it seemed warm enough, but I let it rise on it's own. I forgot to time exactly how long that was as a friend and I were in my studio painting. Woops! Anyway, I thought it rose to about double, pre-heated the oven and chucked it in. I put a cake tin with some ice cubes in the bottom of the oven and spritzed every ten minutes until it looked cooked; about 35 minutes. There was no extra rise in the oven, the crumb consistency I describe as dense to heavy-cakey. The taste is nice. The crust is crunchy and shiny. Some pluses, many minuses. 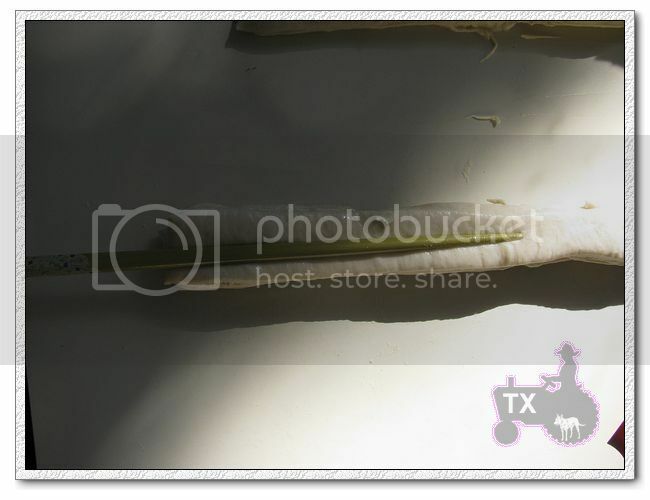 Today, I made several bread using TFLers fomula. All of them are delicious. First, I made mutigrain (100% whole wheat flour used) using Franko's formula. I decreased the water amount down to 9% compare to the original one. I have make his original one at the first time that was a failure that the crumb was really tight. The flavor was great but the texture was dry. I was kneading too much... Anyway I will challenge the original one when I get spelt flour because it is a great recipe! I used a half of oats and a half of wild rice for the soaker this time. I also added 5% sugar ( 10g molasses and 15g honey) While I was baking this bread, I smelled nice aroma all over my kitchen. It was a quite gift for me. But I have a question. 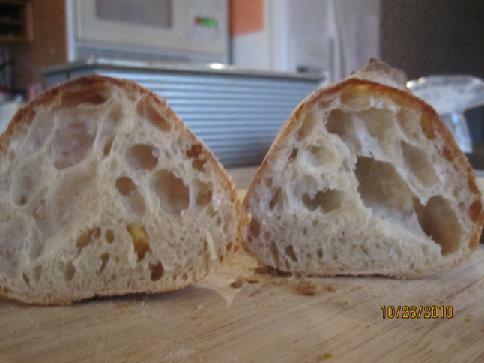 What do you think about this crumb? 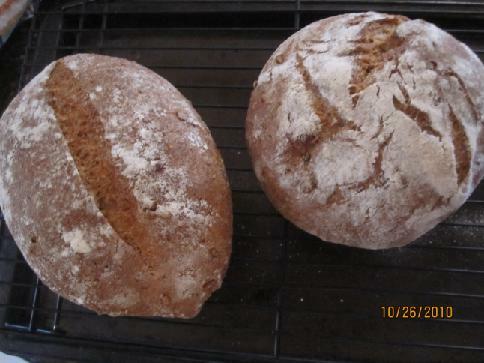 I am a very new to use 100% whole wheat or other grain flour. On second, I made David's San Joaquin Sourdough http://www.thefreshloaf.com/node/20036/san-joaquin-sourdough-updated, and I made it shape into dragon tails that David posted how to make. 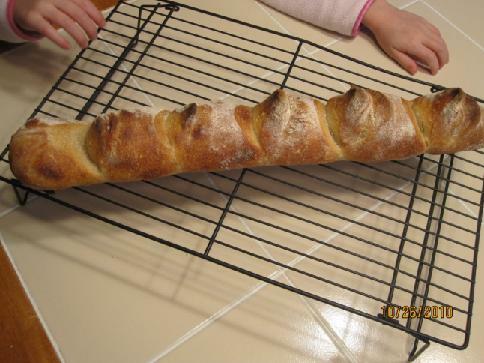 http://www.thefreshloaf.com/node/20226/baguette-and-variations I understand why many TFLERS make this baguette. It is really good! 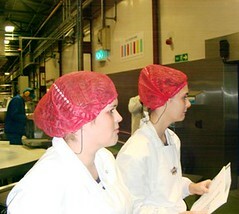 It was difficult to get rid of excess flour on the surface so that I couldn't attach the tails onto the dough nicely. Should I brush off the flour using a brush? 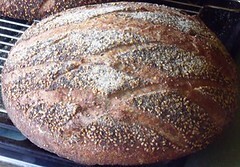 On third, Wally's rye bread. I posted my result on his blog already. I should not slice it until the day after tomorrow although I had a little concern about this bread... 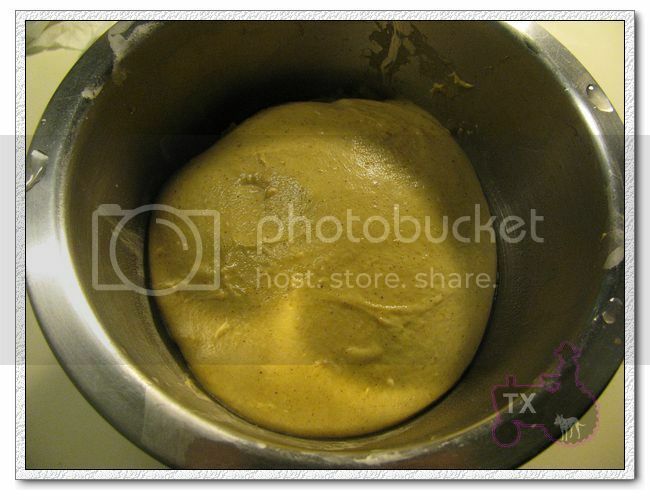 In fact, I left this dough outside for 4 hours before baking ( the temperature was 70F or so) because I had to go out. ( I didn't mention this story on his blog.) Fortunately, the dough was not active enough from beginning. I shaped the dough in one hour although the dough was not risen enough. I don't know why I did that though, it was good in the end because the dough was still keeping the height when I came home. It may be overproofed... But The taste was awesome. I was so happy to see the crumb and the taste so I wrapped this with linen and covered it with plastic bag until I eat it. In the end, I made Floyd's Lasy broiche. I also posted it to his blog too. My brioche must be dryer than his because the little kids was having so much fun to knead and shape too much so that the crumb was little dry. I don't care about this at all. 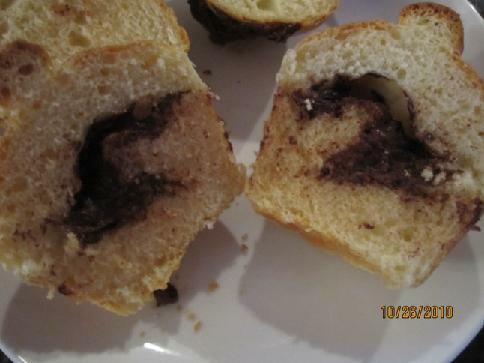 I just enjoyed to make this nice and easy brioche with the kids. I made my old standby yesterday and today, 123 sourdough. The dough was very wet; I must have either a >100% starter or I mismeasured. I used only white flour, and I know that that sometimes leads to wetter doughs, but I've made 100% white before and it wasn't a problem. It was extraordinarily hard to shape and work with. I made a double batch; 4 loaves. two rose in small bowls in the fridge overnight and two rose in loaf pans. 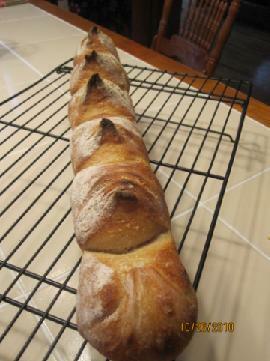 Not a lot of oven spring on the "boules" but the loaf pans gave more support and they turned out better. Of course, they taste phenomenal. I am very pleased with my sourdough. No pix this time. But wanted to post my loaf. I will be giving one loaf away, and one is in the freezer for later. (and of course, one is half gone already). 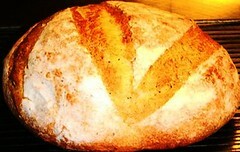 I am brining bread to a party on Friday so I need to start another batch.